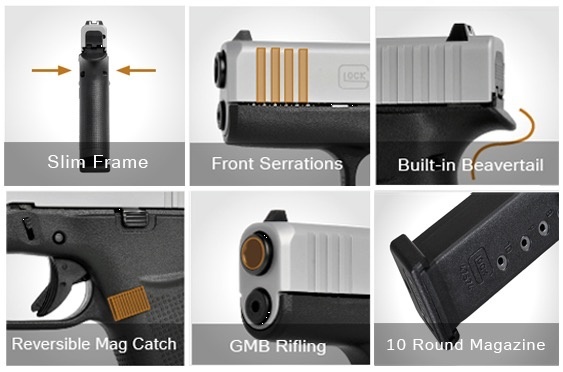 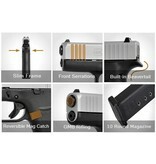 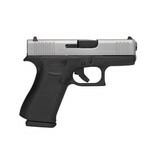 The G43X and G48 feature the silver nPVD finish on the slide. 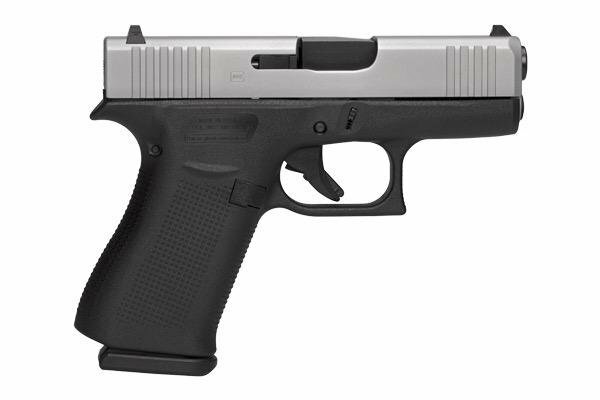 This durable finish is a variation of what is found on the G19X, which has withstood rigorous military testing.The pistols feature a similar height as the G19 with a slimline width for increased concealability. Additionally, they feature front serrations, a comfortable built-in beavertail, reversible magazine catch and a match-grade GLOCK Marksman Barrel. 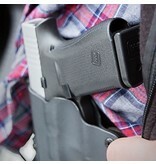 Both models also come with 10-round capacity magazines featuring high-visibility orange followers.